There are few skills learned in college that are more practical than how to keep yourself alive. I’m not talking about financial stability (because student loans make sure that never happens), but rather the art of proper culinary expertise. And I can proudly say that I have mastered the craft. Just take a look at this picture here. Four savory steak fingers, from the wonderfully all-organic farm of my freezer. A generous helping of delicious shredded chicken straight from a refrigerated bag. 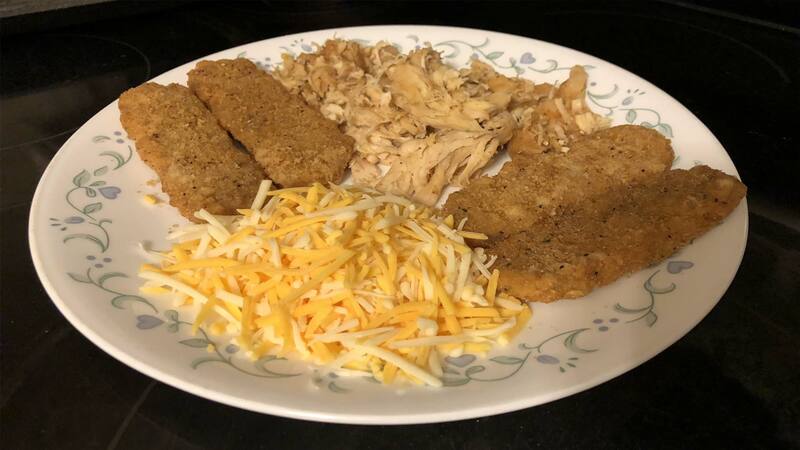 And, for sides, a rich assortment of Kroger brand shredded cheese. And, of course, a mouthwatering garnish of oxygen on top, which gives the dish that little je ne sais quoi of perfection. So, yeah, you can tell I’m definitely a master chef.